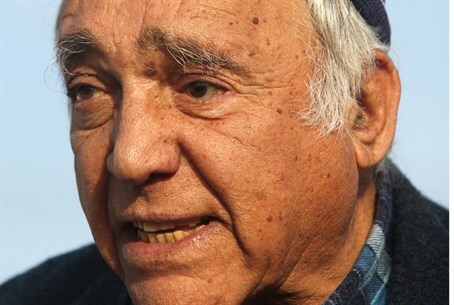 Moshe Zar, an activist and redeemer of land in Samaria, spoke to Arutz Sheva on Friday and expressed his disbelief that the right-wing coalition government is not passing the 2012 Levy Report, which proved the Jewish presence in Judea and Samaria is legal according to international law. Zar began by criticizing radical leftist organizations that have constantly worked against him, noting, "it used to be when I purchased lands I never dreamed that Jews would block me." "I know some of them personally, and forgive me but they are traitors to the nation of Israel," he said. "They receive huge fundings from foreign money that comes from all sorts of places, and they do it for greed." The solution to the lawsuits by radical leftist groups against Jewish construction according to Zar is the implementation of the Levy Report, which despite being commissioned by Prime Minister Binyamin Netanyahu has yet to be adopted by his governments. "There's a professional opinion by three legal experts led by (former Supreme Court) Judge Edmond Levy, peace be upon him, and Binyamin Netanyahu selected him," noted the activist. "So why aren't they accepting this opinion and putting an end to all the ridiculous lawsuits against settlement in the land of Israel?" "We have a right-wing coalition, a prime minister of the Herut movement (that merged with Likud - ed. ), a right-wing defense minister, an excellent justice minister, and an excellent internal security minister, all of them right-wingers, so let them all vote for the Edmond Levy Report." While no member of the coalition government has raised the Levy Report, one party vowed to demand its adoption if elected - that party was the Yachad - Ha'am Itanu joint list with Otzma Yehudit that just missed out of the elections by roughly 10,000 votes. Zar turned his attention to the recent Supreme Court demolition orders passed against the Draynoff housing complex in Samaria's Beit El, which came despite government processes to complete the full legalization of the structures. "Agreements need to be honored from both sides, so how does it make sense to give a demolition order on buildings that have a fundamental certificate of approval? They need to remove the authority that the Supreme Court has taken for itself to cancel laws of the Knesset." Despite the challenges, Zar remains optimistic, saying, "today there is construction and in all the towns they will build a lot, if not more than a lot. Once we were twenty guys and girls, and today there are 700,000 residents in Judea and Samaria. We need to be happy." Aside from a building permit given after the demolition in Beit El, for the last two years or so there has been a complete covert Jewish construction freeze in Judea, Samaria and eastern Jerusalem for the most part as well.